"If I can't dance to it, it's not my revolution." Storm of the Century Music is an independent U.S. publishing and production company offering music for license for television, film, advertising and other media. We specialize in presenting high quality music authentic to its period and genre and in developing unique new artists. All tracks are pre-cleared to offer our customers efficient, simple acquisition of music for their projects. Listen to our music catalog by clicking above. Downloads are available by creating a login account. We look forward to sharing our music with you. 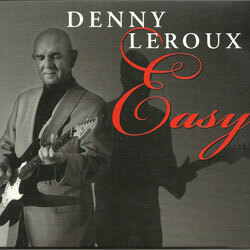 Veteran performer and Storm Music president Denny Leroux brings his original songwriting and inimitable high energy vocal sound to these tracks. They are "Easy," bluesy, heartfelt songs that blow hot and cool about love, loss and all the things in between. To hear samples of the songs or purchase the CD, click here.